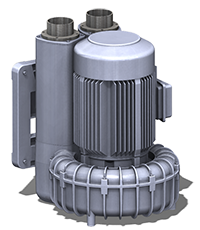 UniGripper offers a broad range of vacuum generators, either ejectors that generate vacuum by compressed air and the venturi principle or electric blowers where vacuum generated by rotating a fan wheel with an electric motor. Ejectors are suitable for grippers where the need for high vacuum flow is not excessive. Ejectors are easy to integrate as only compressed air needs to be connected to the gripper. 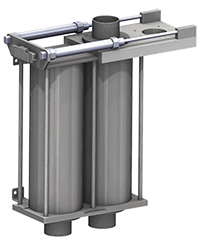 UniGripper ejectors come in three housings allowing up to three, four or eight ejector cartridges to be installed respectively. 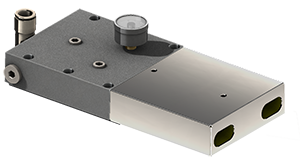 The three- and four-slotted housings are tailored to fit for the UniGripper SMS 80 respective SMS 120 series. In addition, all three houses are used on UniGripper customized depending on needed vacuum flow. The number of housings and cartridges to use is application dependent and UniGriper analyses your application and utilizes UniGripper's vacuum technology to optimize number of cartridges and thus consumption of compressed air. All UniGripper ejectors come in up to two versions, as presented below. 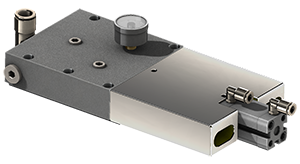 Exhaust with extra silencing for environments where low operating sound level is key. Available in sizes with up to three or four cartridges. Exhaust with integrated reverse blow function for efficient cleaning of the gripper and the ejector itself. Available in sizes with up to three, four or eight cartridges. Cost-effective exhauste for applications without extra silencing or cleansing needs. Available in sizes with up to three, four or eight cartridges. UniGripper supplies high-quality hoses tailored for use with vacuum applications. 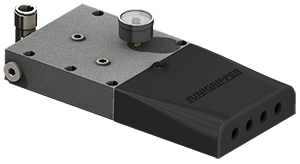 Vacuum hoses are available in a many diameters and are selected by the Unigripper team as part of the gripper offer. 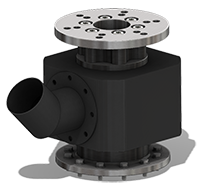 Our reversing valves enables the vacuum hose between blower and gripper to be linked either to the inlet or outlet of the blower. When in the outlet position, the exhaust air from the blower goes through the gripper, creating both a quick release of products for faster cycle times and caters for efficient cleaning of the gripper head. For gripping systems handling long narrow objects like wooden planks, several gripping units distributed on a frame is a common design. To facilitate distribution of vacuum generated by a blower, UniGripper supplies both Y connections and more advanced distribution pipes. Distribution pipes enables a clean and easy installation and can be equipped with e.g. slide valves to allow one or several grippers to be deactivated, e.g. when handling shorter objects. 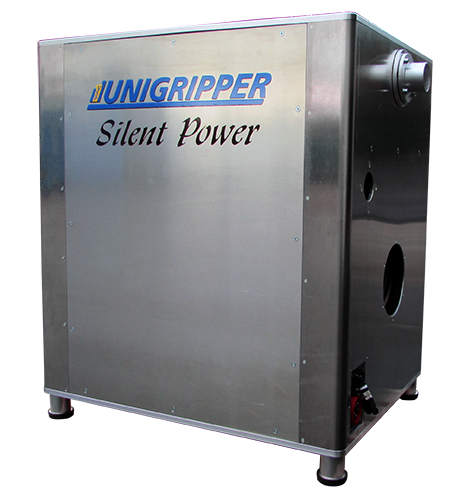 UniGripper Silent Power is a compact sound enclosure for side channel blowers of almost any size. The Silent Power cabinet comes with the blower ready to connect to power supply and also integrates a reversing valve allowing switching inlet and outlet air to the hose connection on the cabinet. Download information folder here. In addition, clamps for mounting the vacuum hose along the robot arm are available on request, as well as e.g. mechanisms allowing automatic connection and disconnection of a gripper from the robot arm with a tool changer.